(Go to the Deaf Access Strategy page for details about Auslan Interpreters etc). 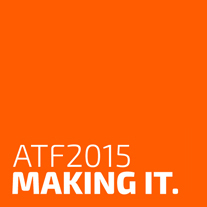 Situated in the heart of The University of Sydney, the Seymour Centre will be ATF HQ from 20 – 23 January, 2015. Located conveniently at the Broadway end of the city, the Seymour is close to Central and Redfern Stations, with great transport links, ample parking and plenty of nearby facilities. See Transport for more information about getting around Sydney. ACCESS: A lift is located in the main foyer area with access to all foyers and theatres within the centre. Toilets are fully accessible and accessible seating is available in all venues. Access parking and drop off is located on Maze Crescent at the Darlington Campus, the University of Sydney. Click here for more venue access information. Click here for information about the location, transport options and local amenities around the Seymour. Some ATF events will take place in other venues near the Seymour, or around the City.